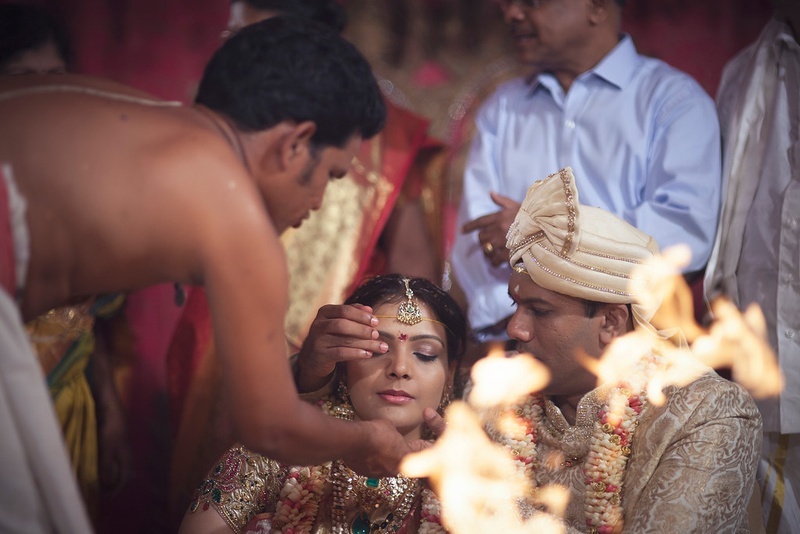 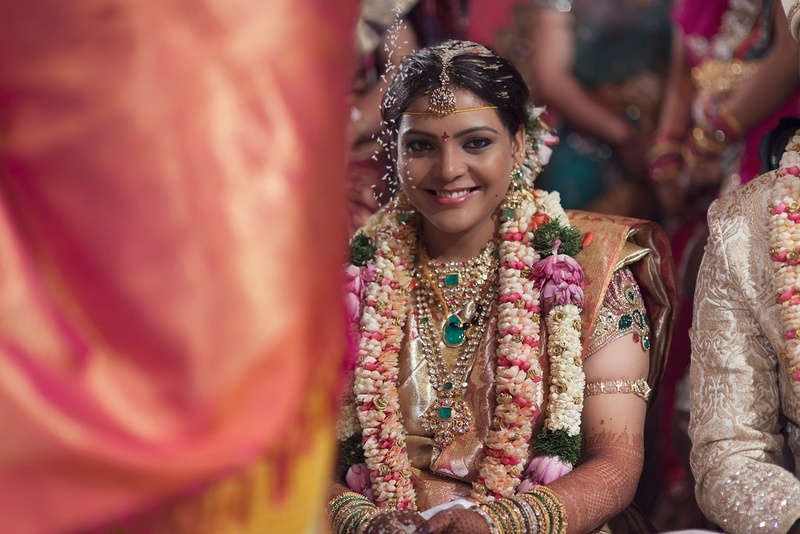 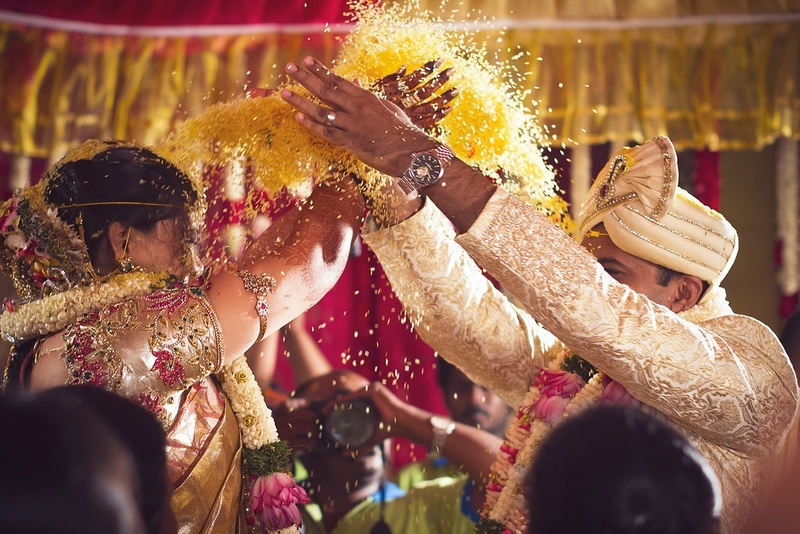 Gayatri and Jeeva got married to each other in a traditional wedding ceremony organized in Hyderabad. 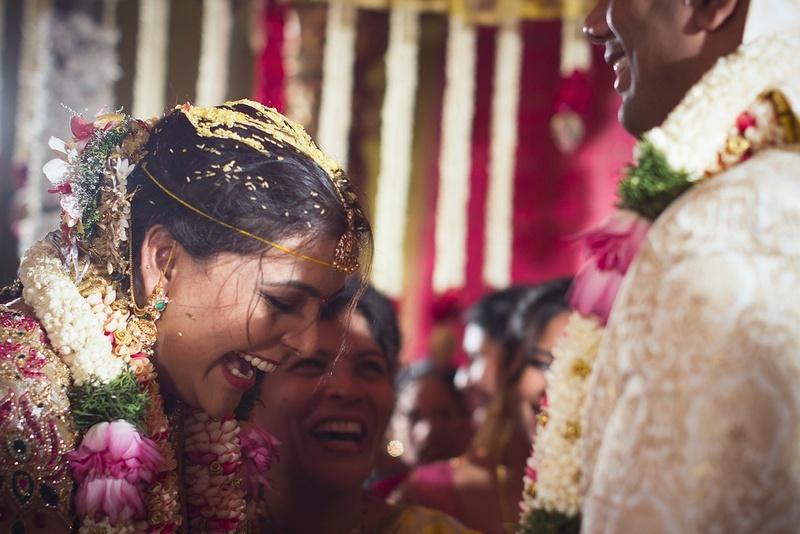 Their wedding had traditional rituals and customs that clearly highlights the fact that Indian weddings are absolutely incomplete without them. 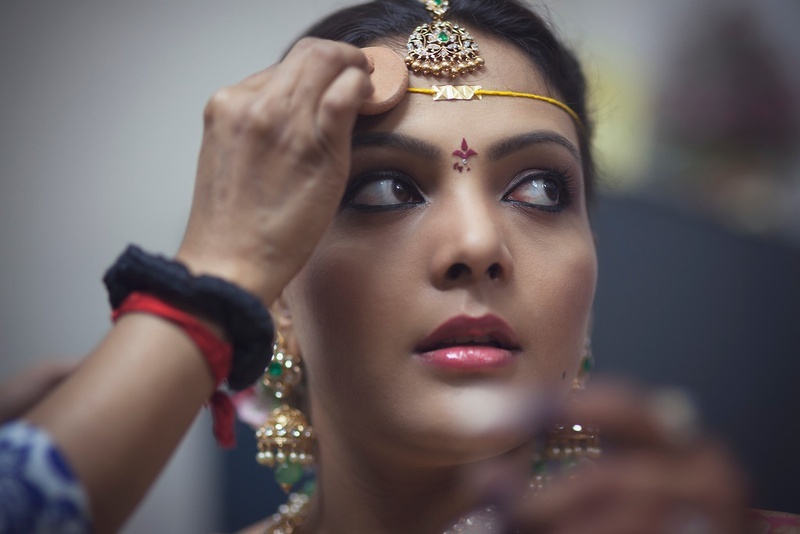 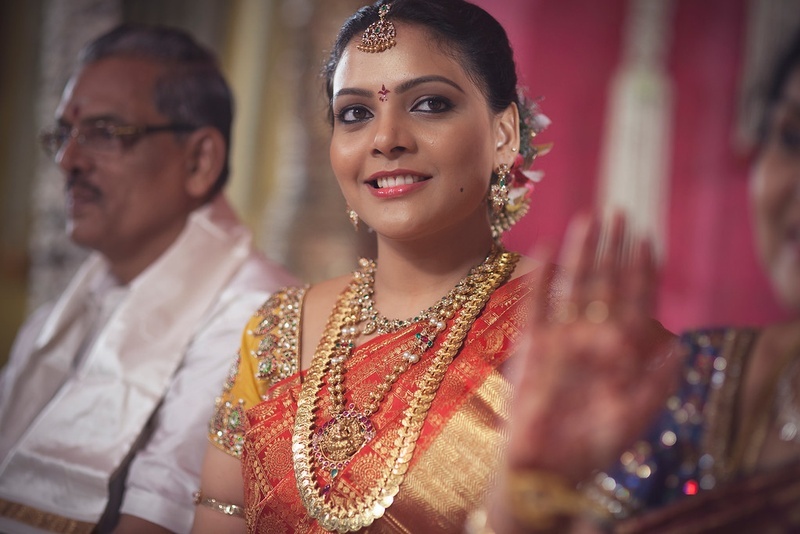 From her bridal saree to the jewellery, the bride went all gold with her wedding appearance. 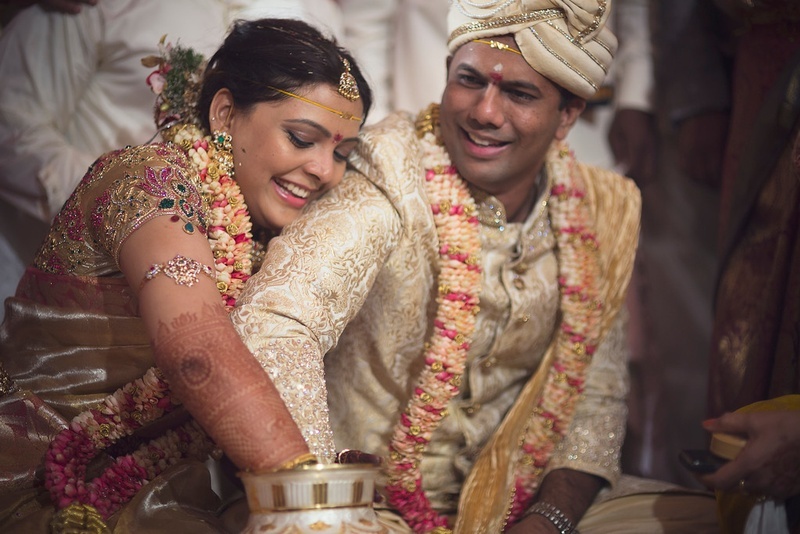 She also wore a gold armlet with a traditional mehendi pattern on her hand. 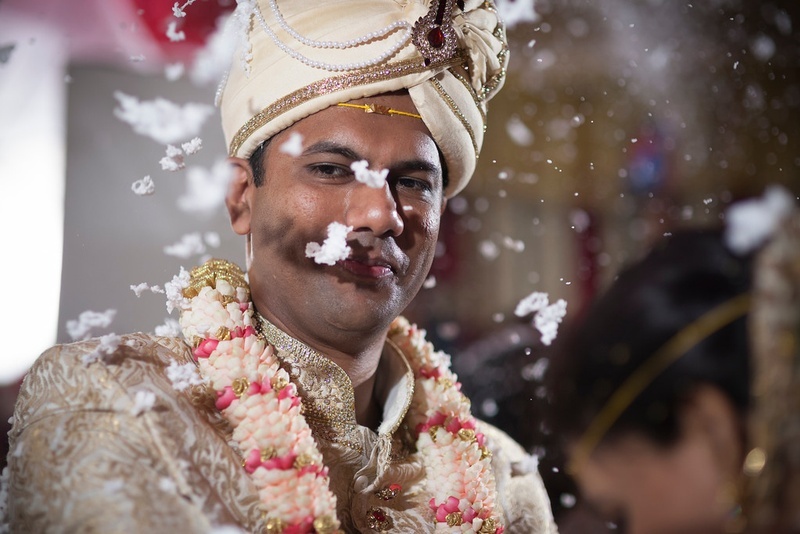 The groom’s wedding outfit was a traditional sherwani that was paired with a matching safa. 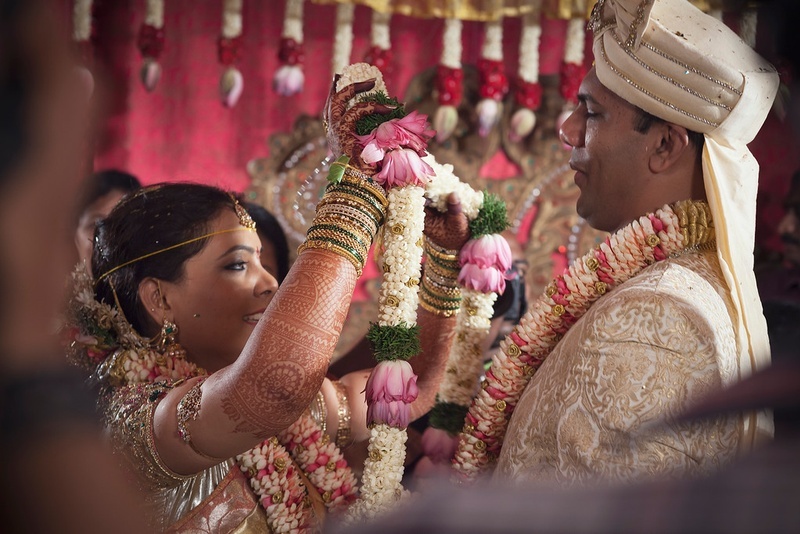 The highlight of this wedding was the ring-search ceremony. 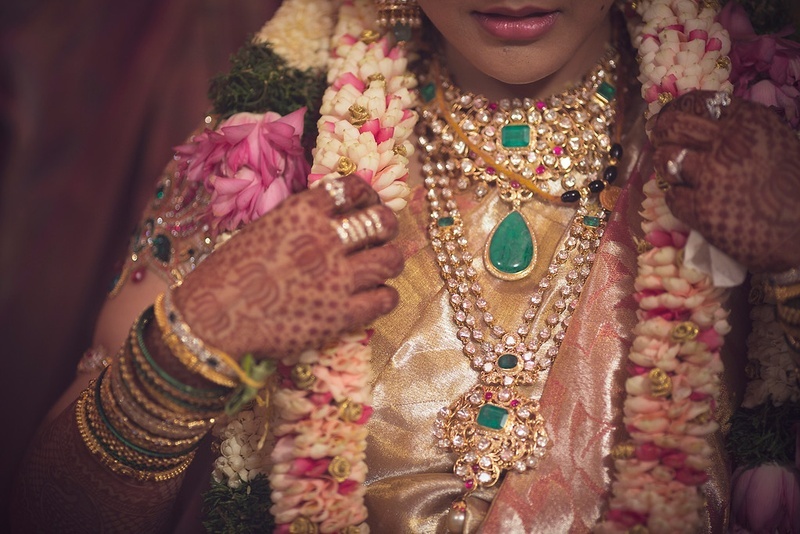 To make things a little more interesting a steep pot with a narrow neck was used instead of a dish. 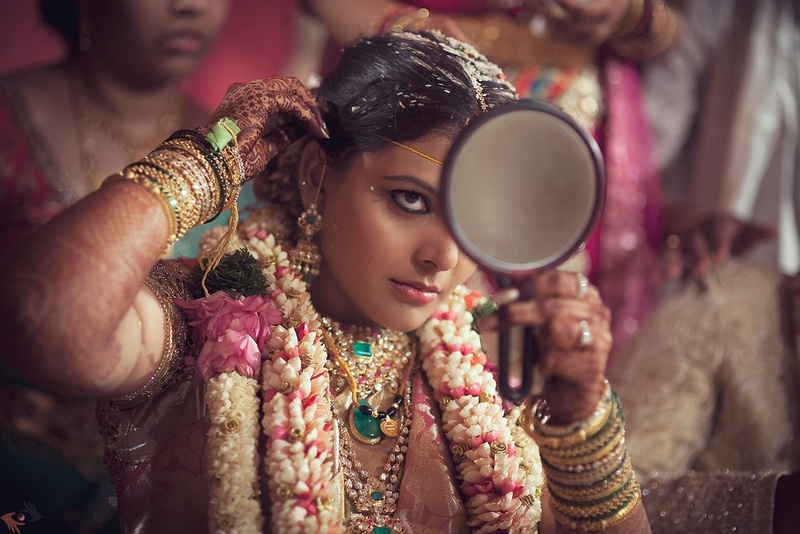 This made finding the rings even more challenging and the bride and groom had double the fun. 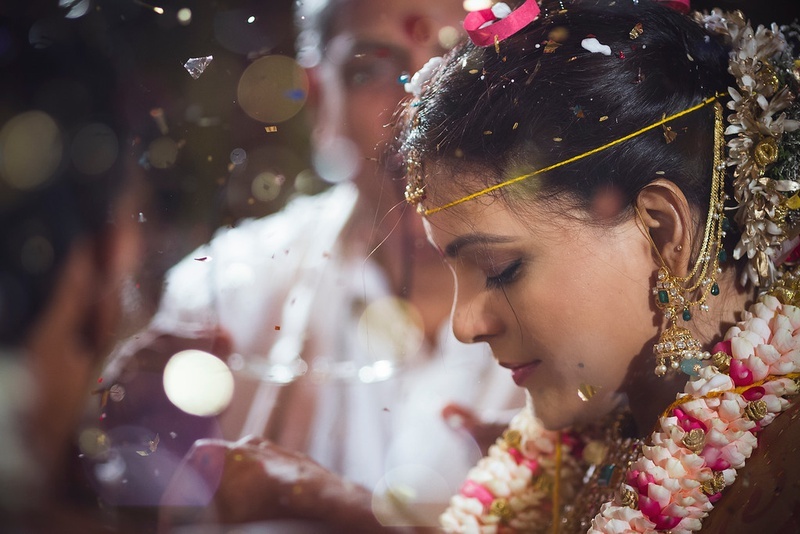 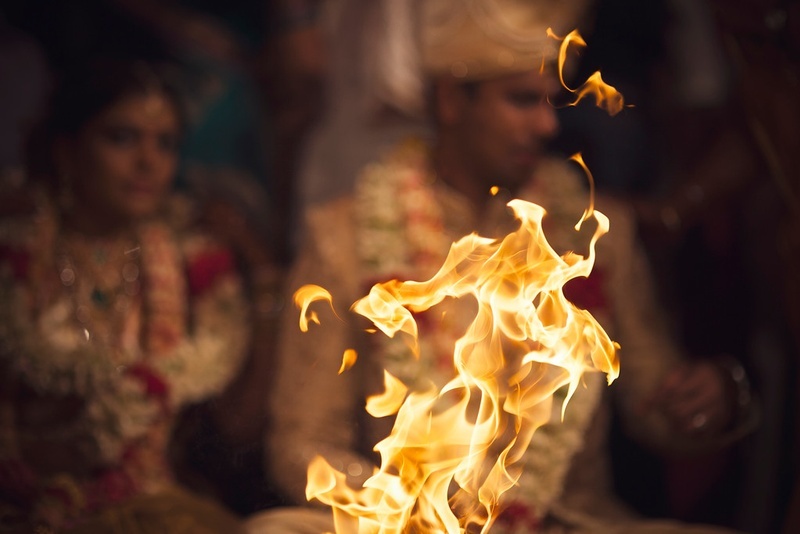 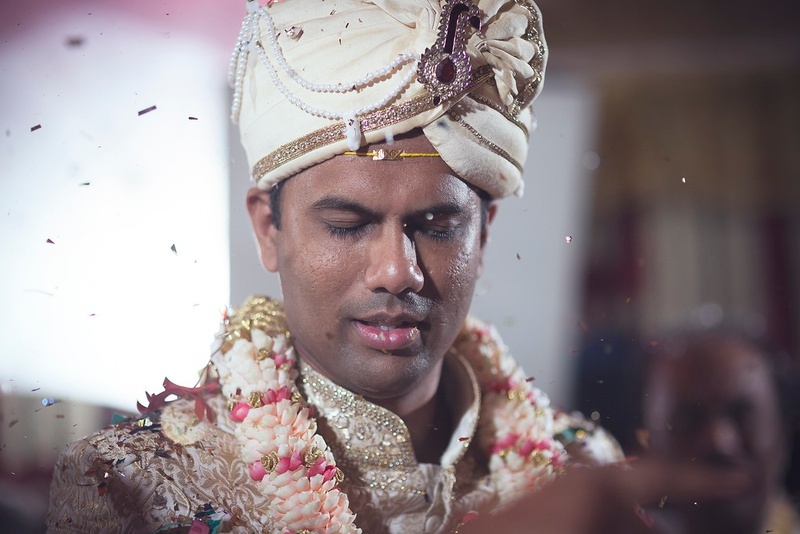 Talk about timing in wedding photography, Vivek Tickoo from The Wedding Knights captured fascinating images from this couple’s wedding including the one that stands out in the Varmala Ceremony. 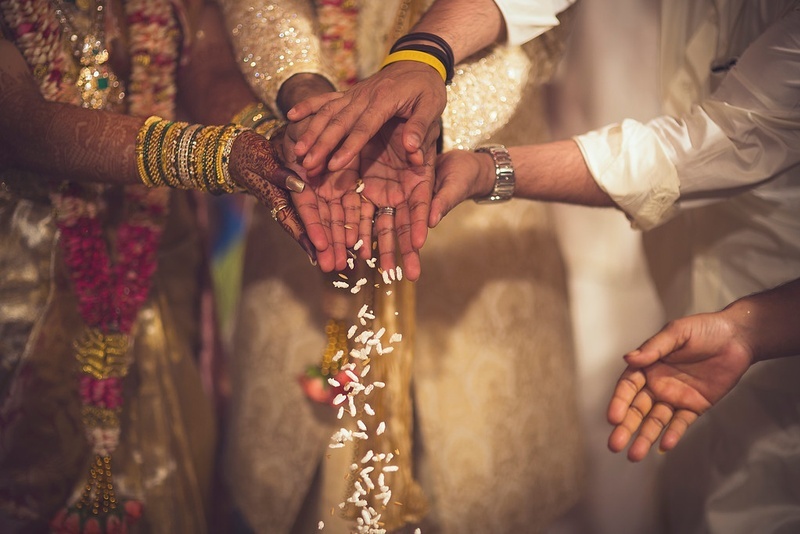 Let’s have a look at few of them right here!